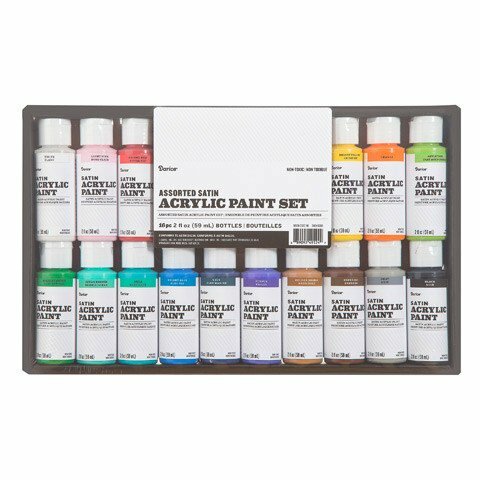 Add a nice range of color to your crafting space with this acrylic paint set. The matte finish works well for creating canvas or paper art, or use it to spruce up mixed-media creations. The nontoxic formula ensures safe use, and the 16 2-ounce bottles provide an excellent selection for mixing, shading, or blending. 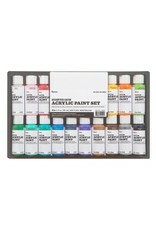 Gift this acrylic paint set to a beginning artist to stoke long-term interest.